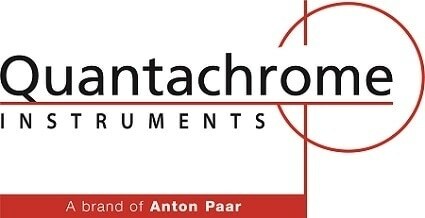 Quantachrome's UltraFoam 1200e Gas Pycnometer is designed specifically for the characterisation of foams. The cell type of porous materials correlates with performance attributes such as fluid exclusion, strength and insulating properties. Thermal insulation, resilience, water resistance and buoyancy are imparted by closed cells and properties related with acoustics, wicking and filtration are related to open cells. 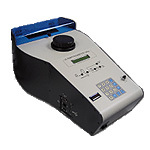 The UltraFoam 1200e pycnometer use the standard technique of gas expansion from a calibrated sample chamber to a reference volume. The closed and solid cell volume of the sample is determined from the relationship of the calibrated cell volumes and the pressures after and before expansion. The closed cell percentage is determined from the solid volume and the measured geometric volume of a rectangular or cylindrical sample. Open cell % is calculated by difference (100%-open cell % = closed cell %). Density is calculated from mass (weight)/volume and is reported as grams/cc. The UltraFoam 1200e conforms to ASTM D6226 "Standard Test Method for Open Cell Content of Rigid Cellular Plastics." Correction for Cut Cells - A corrected percentage of open cells is determined by remeasuring the volume of a cube after sectioning into eight sections. The UltraFoam and PentaFoam pycnometer programming offers a convenient way to automate this calculation. The report gives both the (uncorrected) Open Cell% and the Corrected Open Cell% values. Cell Compressibility – The measuring pressure is automatically increased stepwise and the resulting series of compression% data determines compression profile characteristics for quality control and if there is an optimum pressure for highly accurate open cell% and closed cell% readings. 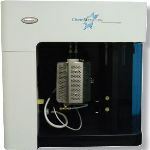 Cell Fracture – The foam pycnometers have an essential analytical ability for rigid foams that have fragile cell walls. 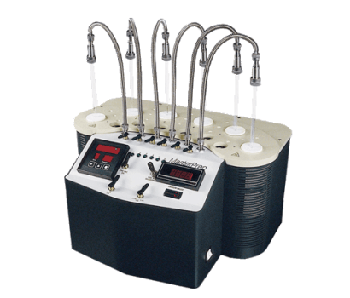 In this mode, each step of increasing pressure is tested to see if the pressure change caused a permanent decrease in Closed Cell%.